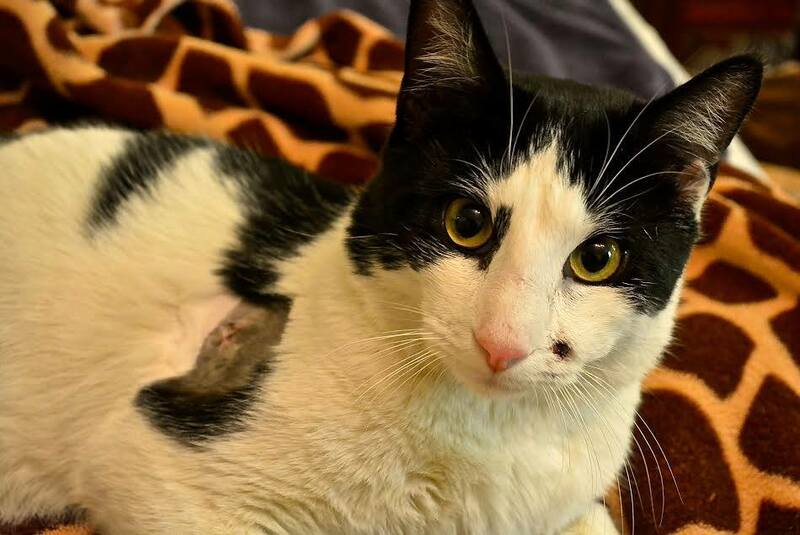 Back in May, BARCS Animal Shelter called us with an urgent case: a cat had come into the shelter with two gunshot wounds. Russell had been shot in the face and shoulder as he desperately ran for his life. The orthopedic surgeon was hopeful Russell would keep and regain use of his leg, which he has. That bullet had to stay though, as going after it could cause even more damage. Fortunately, the other bullet (to his face) could be removed and was done immediately by one of our fabulous partners, Seibel Veterinary Services, LLC. As with most of our abuse cases, Russell comes with a sparkling personality. He probably walked right up to the monster who shot him, just looking for a pat on the head or a cheek scratch. After all, he is a bouncy one-year-old who wants to play, eat, play, eat, play, eat – you get the idea. Thankfully, Russell now is fully recovered and ready for a fresh start in life. We’re in the business of saving lives. By donating to us today, so are you. Make your gift at www.paypal.me/AARF.